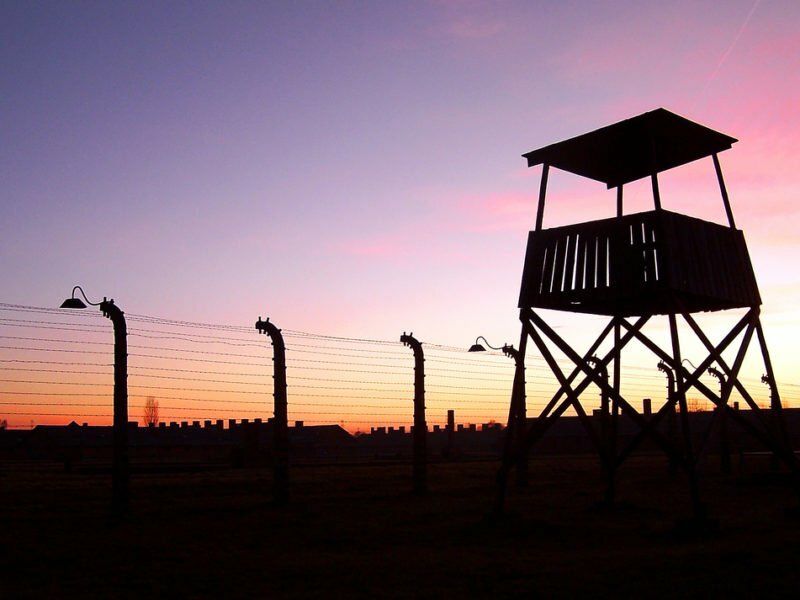 Where was God during the Holocaust? Why was He silent? It’s not easy to deal with these kinds of questions, since ultimately the real question points beyond this one case where a race or nation fights against another one. We’re talking about human nature which spans across all peoples and all times. Over the last century alone hundreds of millions of people were killed. Evil has its roots in our thoughts, decisions and deeds. God did not choose the evil in this world, we did, mankind. But no doubt, the Holocaust is the pinnacle of man’s evil. And what hurts even more is the fact that it happened to us, the Jewish people, God’s chosen people. God gave mankind a free will. And with it comes an enormous responsibility. Since our decisions create outcomes and far-reaching implications. Just look around you. Everything is based on our decisions. From little conflicts to cruel experiments on people and the complete decay of human behavior. The Holocaust is an example of how horrendously bad and radical the human heart can become when man takes the position that belongs to God. For several thousand years, our people have been suffering, persecuted and beaten by cruel nations. The difference in this case is that during the Holocaust the technology existed to document these cruelties. And the lesson is that it doesn’t matter how well developed a human society is, how bureaucratic, enlightened and educated the culture that we live in is, none of this will rein in the human heart. In each generation we are about to be destroyed but God sees everything and remembers everything. Together with our people and when each one of the 6 million carried the pain of his own and his family’s tragedy God experienced everyone’s pain together with them. And just like a father that feels the pain of his child the Creator feels the pain of His creation. And while God will reward the righteous among the nations He will also judge the evil within the nations because of all the crimes committed against our people. But He does use the choices that we make, even the bad ones in order to bring about good things. Even the slaughter that anti-Semitic people did to us God uses in order to bring us hope and give as a homeland. Not because we are holy or perfect, but because God is faithful to the promises that He made 2600 years ago. There is a meaning not only to our lives but also to the suffering that we experience and even to our death. “If there is meaning in life at all, then there must be a meaning in suffering. Suffering is an ineradicable part of life, even as fate and death. Without suffering and death human life cannot be complete. The way in which a man accepts his fate and all the suffering it entails, the way in which he takes up his cross gives him ample opportunity, even under the most difficult circumstance, to add a deeper meaning to his life… Do not think that these considerations are unworldly and too far removed from real life. It is true that only a few people are capable of reaching such high moral standards.” – Dr. Viktor Frankl, Psychiatrist and Holocaust survivor. The meaning of life is to bring sacrifices for others. To give from yourself for others even if it entails suffering and maybe even death. Just like a parent ready to give up everything for his kids. It is no coincidence that in Hebrew the word “patience” comes from “suffering”. Also in death, there is meaning. Some gave their lives in order to save others. We all know and can recall heroes of the past who agreed to sacrifice themselves even unto death. Memorial day for fallen Israeli soldiers is a perfect example. Our people were like a lamb led to the slaughter but because of this suffering and death that we remember on Holocaust and Memorial Day, we can celebrate life on Independence Day. This article was written by Eitan Bar of One For Israel.